I’ve never been a real makeup junkie, but I’ve always appreciated a well-made-up face. I started wearing lip gloss at 12, eyeliner at 13 (sorry mum, I snuck it in my backpack and put it on at school each morning), and by 18 I was applying my face each morning prior to heading off to class. But each Summer, I gave my face a break as I spent my days lifeguarding at the neighbourhood pool. There, all I needed was some sunscreen, a hot pair of sunglasses, and a strong whistle I could twirl around my fingers while perched above the splashing kids. Fast forward a dozen or so years, and all of that changed. My years in the sun, and my haphazard sunscreen application, had taken their toll. Sunspots, the early signs of wrinkles and crow’s feet, and leftover acne scars left me covering up my face every chance I got. Even in the sweltering dog days of Summer, you wouldn’t catch me without a layer of foundation — or a rather thick tinted moisturiser — on my face, even if I was just taking a walk in the park. I really didn’t mind it, it was just part of my routine. But I was insanely jealous of all of those girls who posted photos where they looked casual, relaxed, and makeup-free on their warm-weather vacations. 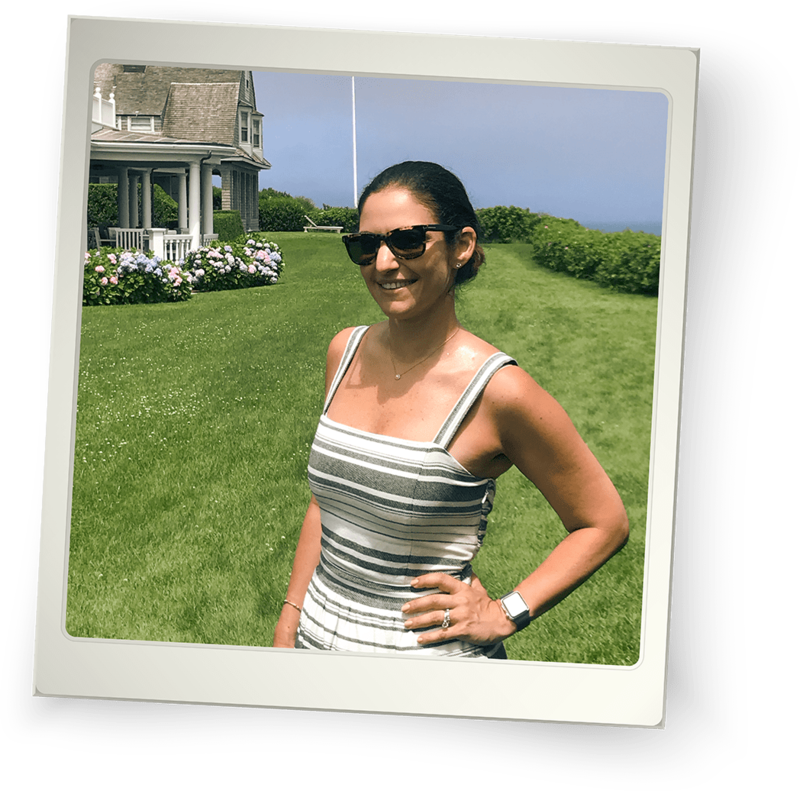 I was determined to be one of them, but wasn’t sure where to start until I was invited to visit POPSUGAR’s Nantucket House last month. The house was sponsored by philosophy, and the brand sent me their new renewed hope in a jar renewing dew concentrate as well as their revered renewed hope in a jar moisturiser SPF to try in advance of my trip. The serum was developed as an introduction to a skincare routine for women who are starting to worry about wrinkles and lines before actually having them. In other words, me. For the week prior to the trip, I applied a few drops of the serum to my fingertips each morning and night, then gently patted them on my face. Once the serum was absorbed, I smoothed the moisturiser on top — the renewed hope in a jar spf with SPF 30 for day and the renewed hope in a jar overnight recharging & refining moisturiser for night. The whole routine took a total of two minutes each time. I didn’t see how four minutes of work could makeover my skin, but it actually did. I hadn’t been paying much attention to my skin’s transformation until I was sitting with some bloggers on day two of our trip. The schedule was packed, and we had just finished a barre class when we had to quickly shower, get dressed, and hop in a taxi to head down to tugboat ride around the harbour. The rush left me without a minute to spare, and as I glanced at my post-shower face in the mirror, I noticed that my skin was actually glowing. The spots I’d been meticulously covering up didn’t seem quite as dark and didn’t need to be covered up. My skin was soft and moisturised and actually radiant. Nervous (as I knew we’d be taking a ton of photos on the boat ride) but excited, I ran a brush through my hair, threw on a pair of sunglasses, and headed out the door. My travel mates marvelled at my swift transition and commented that I looked fresh and dewy. 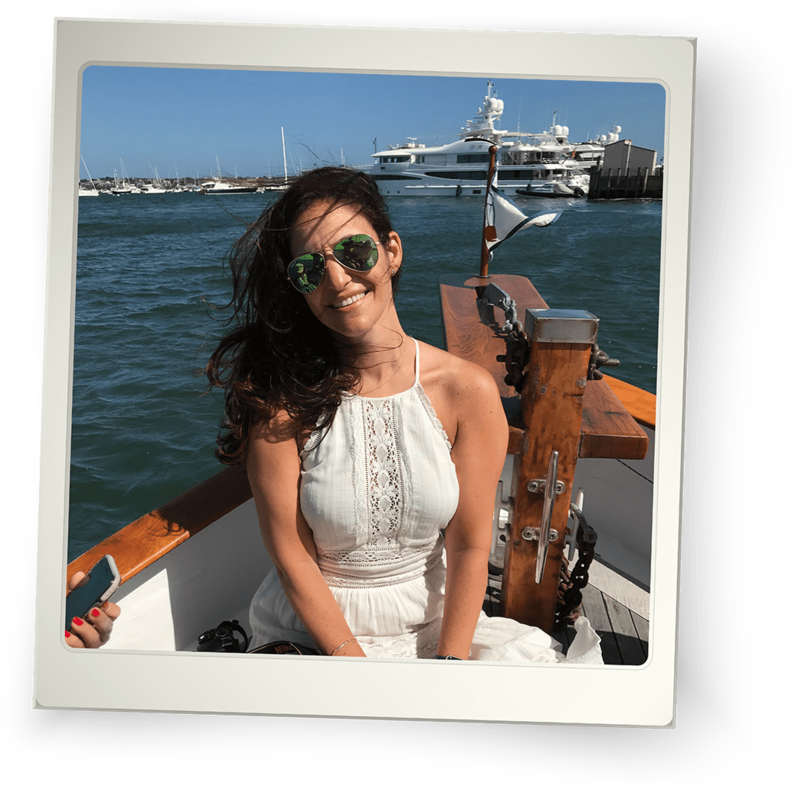 I quickly forgot that I was makeup-free and simply enjoyed the remainder of the day as we sailed around the harbour and marvelled at the yachts docked in the marina. Emboldened by my easy routine, the next day my husband and I set out to explore another part of the island, the old whaling village affectionately known as ‘Sconset. Rather than wait for me to “apply my face” before heading out for the day, I surprised him when I beat him to the door after applying my new two-minute morning routine of serum and moisturiser with sunscreen. Not only was I ready faster than ever before, I was beginning to resemble those carefree vacation pics I’d been drooling over all those years. Without worrying about my foundation wearing off throughout the day and what my skin looked like under it, I was relaxed as we made our way along the Bluff Walk that day. Who would have thought that aging would give me the confidence I needed to go makeup-free? Certainly not me. But with a strong skincare routine — even if it only takes four minutes a day — that’s just what’s happened to me.